TALLAHASSEE – Gov. 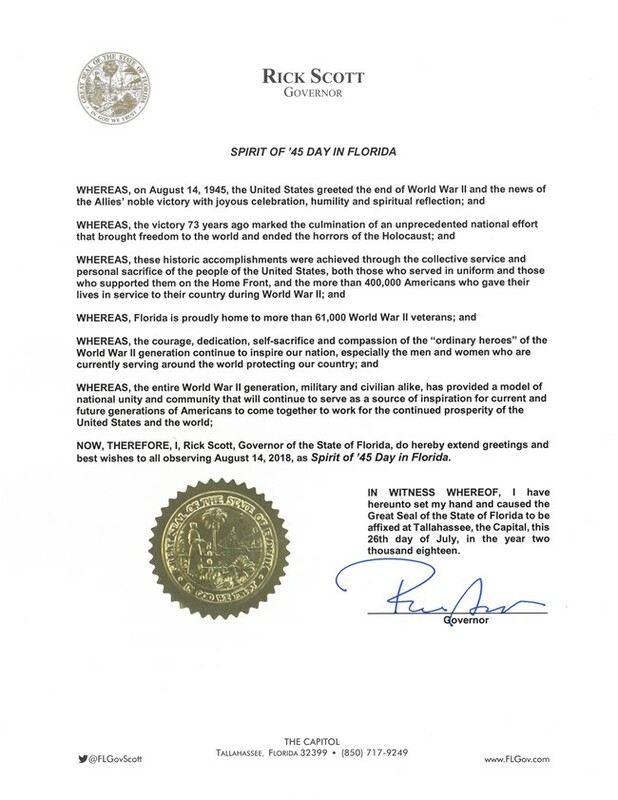 Rick Scott has signed the state’s annual Spirit of ’45 Day Proclamation, commemorating the 73rd anniversary of the end of World War II. Aug. 14 is Spirit of ’45 Day. There are currently more than 61,000 World War II veterans living in Florida.